At a dive bar in San Francisco's edgy Tenderloin district, drug-hustling Emily Rosario is drinking whiskey and looking for an escape from her desperate lifestyle. When she is approached by a Russian businessman, she thinks she might have found her exit. A week later--drugged, disoriented and wanted for robbery--Emily finds herself on the run for her life. When cop Leo Elias--broke, alcoholic and desperate--hears about an unsolved bank robbery, the stolen money proves too strong a temptation. Elias takes the case into his own hands, hoping to find Emily and the money before anyone else does. A sharply drawn cast of characters--dirty cops, Russian drug dealers, Chinese black-market traders, street smart Cambodians, and shady entrepreneurs--all take part in this terrifying tour through San Francisco's underbelly. Confronted with the intimate details of characters that blur the line between good and evil, and twists that surprise until the end, readers of THE WHITE VAN will find their own moral code challenged by the desperate decisions the characters are forced to make. Patrick Hoffman is a writer and private investigator based in Hudson, New York. He recently moved to Hudson from San Francisco, where he worked as an investigator for the past nine years, with the last five spent at the San Francisco Public Defenders Office. 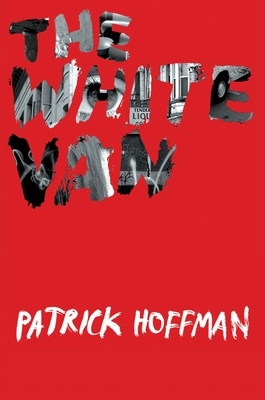 "THE WHITE VAN" is his first novel.